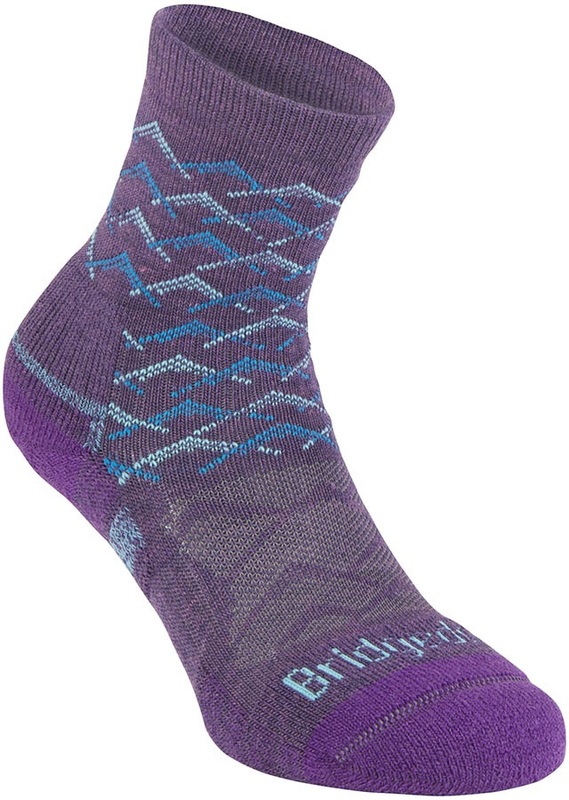 The Bridgedale Hike Lightweight Women's Hiking Sock is a thin 3/4 crew that's perfect for walking and trekking in warmer weather. 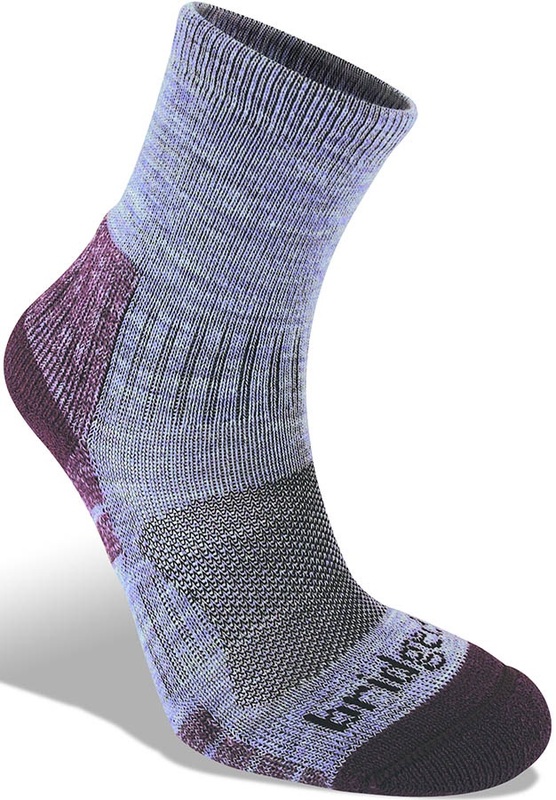 It features cushioning in the form of shock zones - padded areas on the bottom of the sock - which absorb impact whilst walking, and a flat toe seem to prevent rubbing. As part of Bridgedale's Merino Endurance range, the women's Hike Lightweight is made from a blend of new wool, merino wool and synthetic fibres. This creates a close, supportive fit, otherwise known as Bridgedale's Performance Fit, and balances insulation, breathability and moisture wicking so that your feet stay dry and comfortable. The antibacterial properties of merino wool also help to prevent nasty smells so that your socks stay fresher for longer.